“When we returned, I vowed not to have anything to do with African Songs Ltd again. I even granted an interview to journalists at the Lagos International Airport on our arrival stating how we were almost stranded in London. 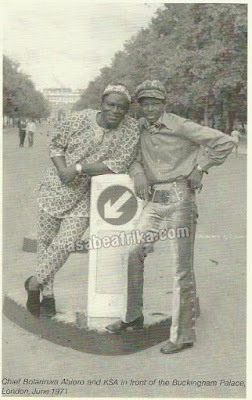 Chief Gani Fawehinmi who had been my lawyer but who I see as a big brother being from the same town with me took up the case. 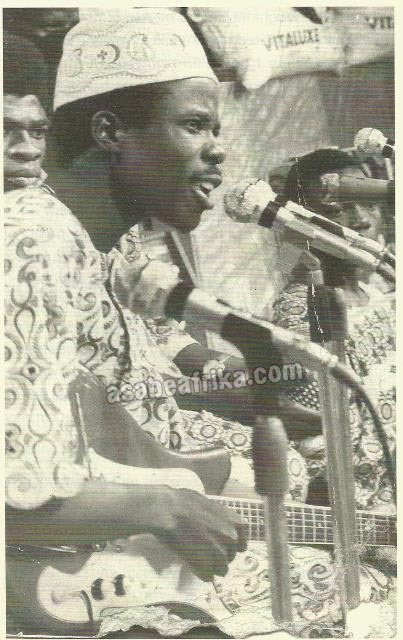 But somehow I went back to African Songs due to the intervention of Chief Lekan Salami and Chief Leke Oshinjirin. To be candid, Chief Lekan Salami is a unique human being. 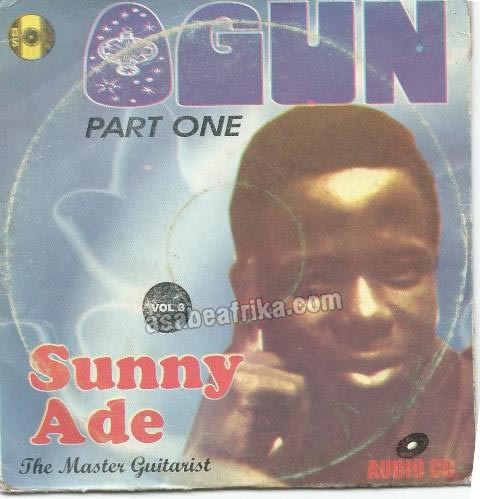 Since he decided to promote Sunny Ade, he did it with his whole heart. He did it as if he was my father. He did it as if he was a little god for me. He was always telling me: “Sunny, I want you to get there”. He would spend his own money on anthing he felt would promote me. And some musicians who I will not mention used to abuse him any time he did that. But he didn’t care. He would say, “this is my boy”. 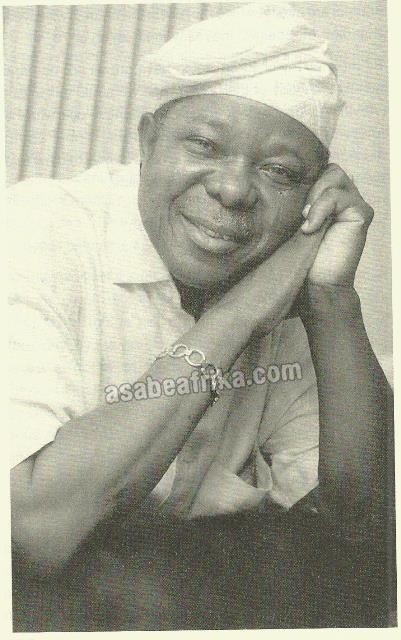 He was the one who introduced me to General Adeyinka Adebayo, the governor of Western State at that time. 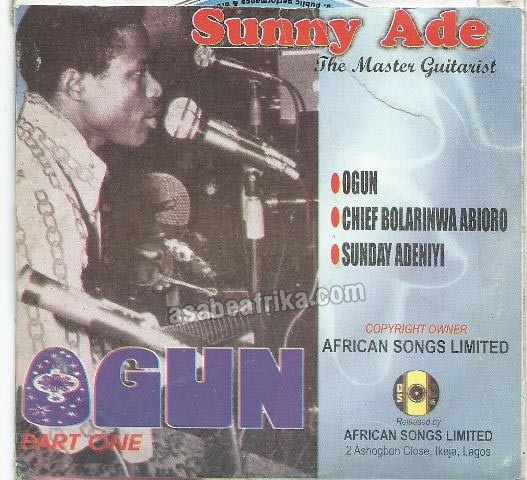 And when I played that very night for Adebayo in his home town, Ekiti, I became his musician. I also became his boy, his son. He was so impressed. So when Chief Salami asked me to go back to African Songs, I could not say no. If it was Chief Abioro, I wouldn’t have ever done that. If Chief Abioro sprayed you money on stage, he would demand it back. But Chief Salami never did that. To be fair, Chief Abioro was good on one side – the area of publicity and in what was necessary. 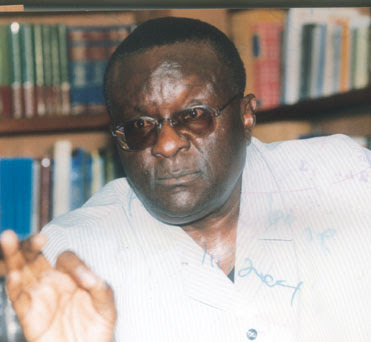 When I went back, Chief Gani Fawehinmi was very angry with me. But there was nothing I could do. Within the period of our return, we recorded about 20 albums. In those days, all I was interested in was to record. To be seen as a good musician. I must confess I was not interested in the business side because I regarded the royalty of 20 kobo as something too small to worry about. I did not know that that was the real thing. 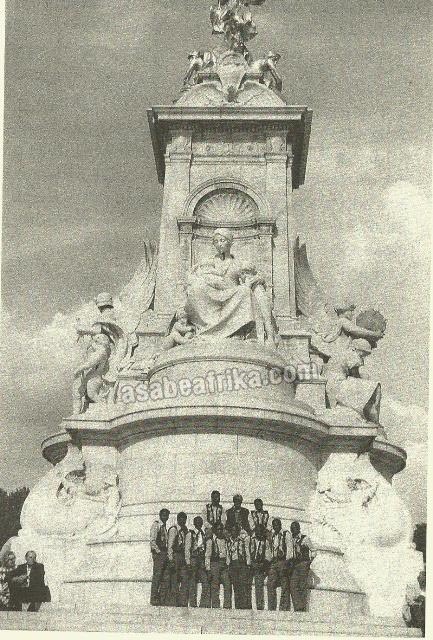 If I had known how important it was, I would have taken it more serious at the time and may be things would not have turned the way they eventually did with me and African Songs. Chief Gani Fawehinmi had warned me to look into the business side and understand it well, but I never did. When I first signed the contract in 1968, it was for five years (1968 – 1972). They made me to sign another one in 1971 without the first one running out. I was upset. I said I was not going to sign, arguing that we had only spent four years. But because of Chief Lekan Salami, I signed another five years without waiting for the remaining year to run out. It was more or less like being blindfolded. 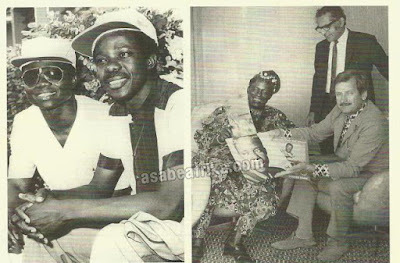 So I signed and when I did, Chief Gani Fawehinmi was so annoyed that he said he was going to sue me! For good one year, I could not go to Chief Fawehinmi’s office. African Songs for me was a mixed grill. It was good for me in the area of publicity but very bad on the monetary side. Anywhere in the world musicians rely on royalties but my own case was different. 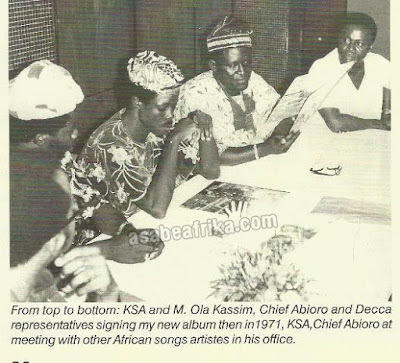 For years I was on 20 kobo royalty while musicians on other labels were enjoying 50 kobo as royalty. When I asked for a raise to 50 kobo I was told that they were treating me better than other musicians on their label. “How?” I had asked. Their only answer was that a review could only come at the expiration of the existing contract. That was even after I had appealed to some of his big friends to intervene – General Adebayo, Prince Sijuade among others. “An agreement is an agreement”, Chief Abioro had told them. Chief Gani Fawehinmi who represented me was able to point out that on the issue of royalty, I was being paid 15 kobo instead of 20 kobo. He wanted to know what they did with the 25% taken out of my money. While the accountant said it was standard practice, Chief Abioro said it was for publicity. That was when Chief Gani Fawehinmi asked, “Is Sunny Ade paying for his publicity? What is the role of the company? Do you have an agreement covering that?” Chief Abioro said yes. When they brought it, it stated: “To promote the artiste and Chief Abioro himself”. The judge then said he wanted to see the three year statement of accounts. That was were everything came out – they were making almost three million naira a year on my records and in the nine years I had been with them, all I got was N52,000! But on the record I released, I must confess it was a good record, still is, the judge awarded N300 cost against me and ruled that I should not wax another album for the next six months. That was when I first received N5000 bundle in my life. When I got it, I tore the nylon and put N1,000 each inside different sides of my pocket and placed the remaining one on my chest. I then said, “I have to enjoy myself”. 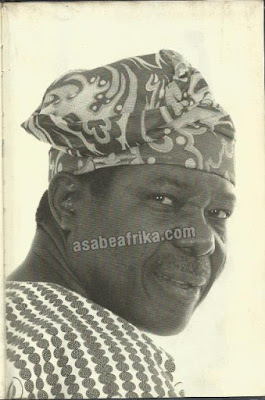 After that I decided not to get close to African Songs not because I was expecting Chief Abioro to do any harm to me but it was like when you have been given your freedom, why go there again? I didn’t return to him, so he sent for me again. Unfortunately, before the message got to me, he passed on. But I was told he said he had something to give me and I believe that those were the master tapes and maybe he wanted to say, “Sunny, please forgive me” – maybe not. Anyhow, I have forgiven him; I regarded him as a father.